Sainsbury’s has a long tradition of using celebrities to help promote their products, from pilot Amy Johnson in the 1930s to celebrity chef Jamie Oliver in 2000. And, now, Sainsbury’s is once again reaching out to celebrities. Not one, but four. And there isn’t a TV actress, a sport professional or a pop star in sight. The 4 stars of Sainsbury’s ‘Make Your Roast Go Further’ campaign are bloggers Jack Monroe, Rejina Sabur-Cross and Nick Coffer, plus retired pub landlady Pam Clarkson. Influencers play a key role in marketing, swaying customers’ opinion and adding credibility to the marketing message. Their value – and, hence, the need to identify and nurture them – is well documented in the marketing literature. 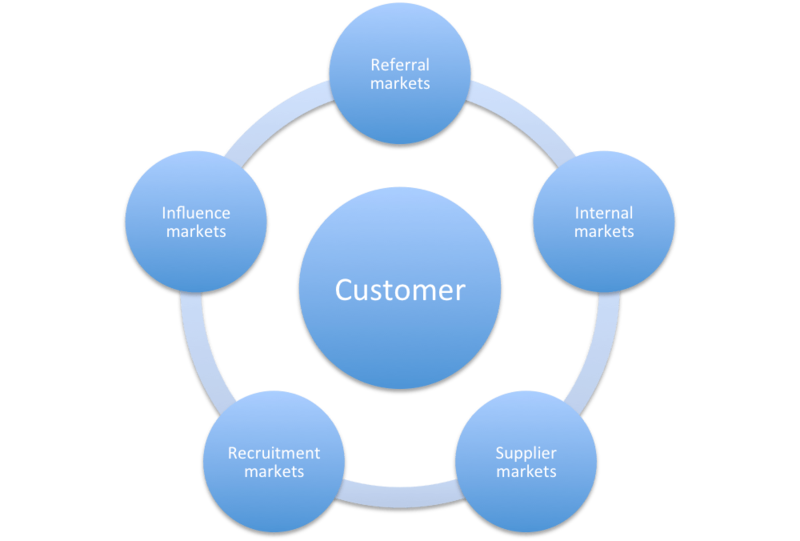 For instance, ‘influencers’ are one of the key groups of stakeholders depicted in the ‘Six Markets Model’ by Adrian Payne and colleagues (here and here). But the examples mentioned are, usually, of well identified groups such as consumer associations, or investor groups, whose power comes from expertise. The influencers chosen for this campaign are different. Their power comes from not being experts. It comes from being just like the people that follow them online. And they have a message that resonates with their followers. And these changes require new thinking from both academics and managers. Isn’t Sainsbury’s campaign an amazing recognition of the new breed of influencers in marketing? Posted on December 17, 2013 December 17, 2013 by anacanhotoPosted in Marketing in everyday lifeTagged advertising, Influence, Influencer marketing, Payne et al, Relationship Marketing, Sainsbury's. Personally, I like this. I think it shows that influencers can be more than celebrities alone. It depends very much on what you sell, and what you want to achieve. It’s kind of blogger outreach reaching a new maturity level, after fringe experiments (originally) like with the Ford Fiesta Movement, paid-for product reviews on blogs and now bloggers in the ads. There are more examples, by the way. In the Netherlands, Vanish (I think) is using regular people who upload videos to a special website about how to remove stains from clothes. Ooh – I will have to look into that detergent example. Sounds very interesting!! It is a very fine line to thread by the bloggers, though, to balance being paid by the firms but still maintain their ‘authenticity’. I like this and Im working with other companies to ‘hook in’ brand superfans and provide an on-domain place for them to talk about their passions. While we like seeing Jamie Oliver doing this work for Sainsburys – and see Heston and Delia do similar for Waitrose – we know that people increasing trust ordinary folk – ‘people like me’ – and don’t trust anything that smells like advertising. Its notable that the Edelman research on Trust points this out too – that people increasingly trust peer validation – and if those people are known and trusted from their actions in social community (faithfully sharing and helping) they have a strong social proof and reputation. Its becomes a very credible voice. However, even though we enlist these awesome folk – we still need them on topic and talking on subjects that are relevant as part of a promotional calendar – ie Movember successes, Christmas punch making, New Year dieting, prepping for the ski trip…. but still their voice is powerful – and above all else human. Bravo Sainsburys. Me like. We are all of us the future of the brand voice. I think that this is part of a broader sociological trend of customer empowerment – e.g., I don’t need a chef to tell me what I should eat, or a celebrity to tell me where I should go for holidays. The ‘uncontrollable’ nature of these new influencers may be a frustration for brand managers, but, then, celebrities aren’t that good at staying on message, either. Remember Alicia Keys signing up as BB’s ambassador and, then, tweeting from an iPhone? Or all those years ago, Britney Spears being the face of Pepsi but, then, being caught drinking Coca-Cola. Only a human voice is good enough today. Another great case study for inclusion and social engagement? Lets keep a watch out…. Great example, indeed. Will be interesting to see who steps up.